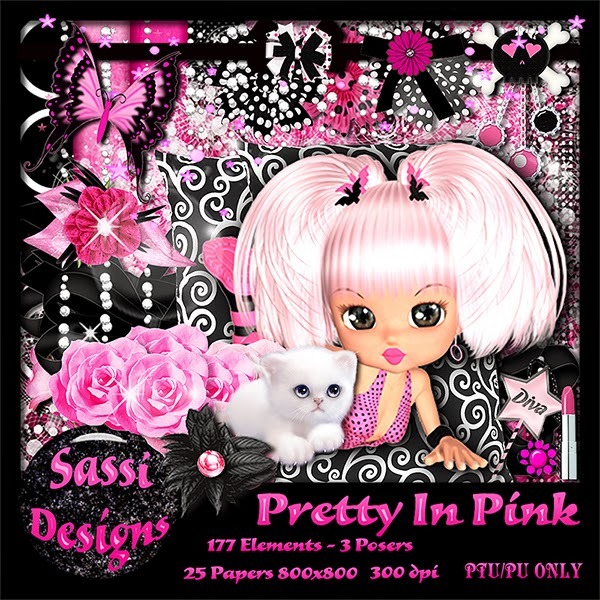 Here are my CT tags that I made for Sassi with her beautiful kit "Pretty In Pink". This kit is huge!! There is so much that can be done with it. See a listing of her stores HERE. And I used artwork of Alicia Mujica. This beautiful tube is Exclusive to the forum team at ACDiva. You must have a license to use this art.